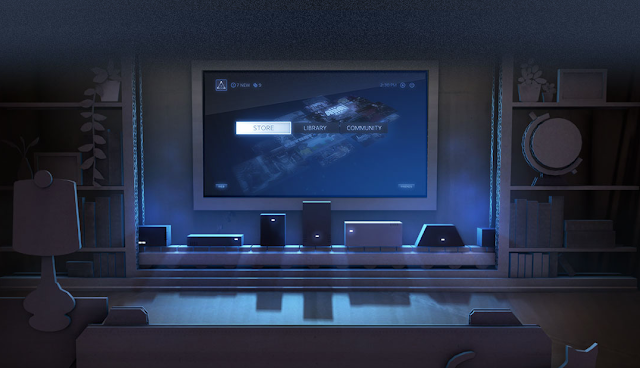 Steam (and Linux) coming to your living rooms very soon via Steam Machines! Steam based hardware for living rooms was widely being speculated ever since the arrival of Steam for Linux client. All speculations can finally be laid to rest. Steam hardware is real and will be based on SteamOS, which in-turn is basically a heavily modified Linux distro. And the new hardware won't be a one-size-fits-all thing either. Valve is working with multiple partners to bring a variety of Steam gaming machines to market during 2014, all of them running SteamOS. It seems like we have a truly open competitor to XBOX and Play Station finally. Steam Machines, here they come! Everything suddenly makes sense. While game after game were being ported over to Linux, Steam's own Linux based SteamOS was the primary benefactor. But as a hard-core Linux fan, I don't mind. The net results are positive. The entire Linux community will gain a lot in terms of new users and better support from major CPU/GPU and other hardware vendors. And this won't be a "one hot-shot device in 2014" affair either. Valve is working with different hardware vendors and is all set to bring SteamOS powered devices in different shapes and sizes to meet varied customer needs. While these products are still in development, Valve is making sure that the right products are getting made by letting people try them out. Valve have designed a high-performance prototype that is optimized for gaming, for the living room, and for Steam. And it is completely upgradable and open. Valve will be shipping 300 of these boxes to Steam users, free of charge, for testing. You can make yourself eligible to get one. See the original announcement for more info. Let us know what you think about these new developments.